We are now accepting applications for the 2019-2020 school year. After you’ve looked around online, we invite you to follow our four-step application process to find out if Veritas is the right fit for you and your family. If you haven’t already, come visit and see what makes this learning community unique. 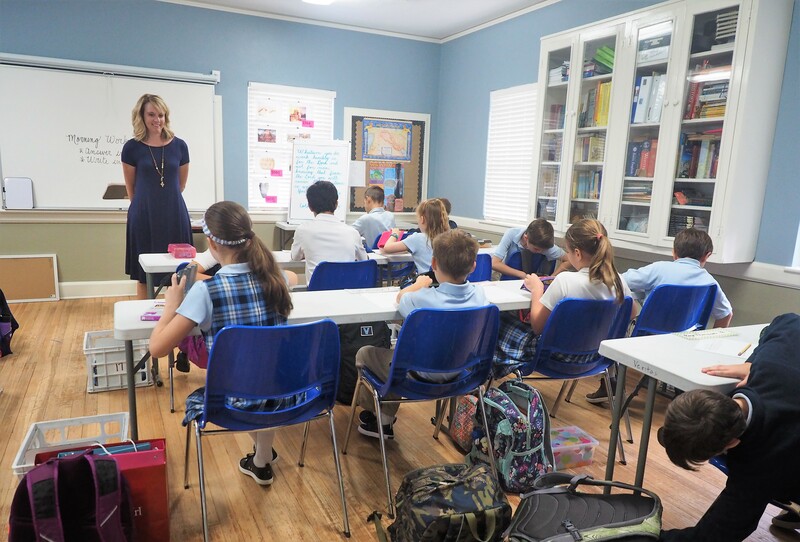 Scheduling a visit to the school is the best way to experience the Veritas Academy mission at work. To schedule your visit, please call the school office at 912-238-1222 or email info@veritassavannah.org. Download an application packet to get started. Students entering kindergarten can omit test scores, report cards, and samples. Please note that your application cannot be processed until all admission documents are submitted. If you are applying for financial assistance you must complete a FACTS application online (athird party agency that sets up payment plans for families). We strongly recommend that you apply for financial assistance at the same time you apply for admission. For more information on financial assistance at Veritas, please visit our financial aid page. Each parent and student will participate in an interview with the Headmaster once all admission documents have been received. Your admissions testing will be scheduled after this interview. Veritas admissions tests are comprised of basic reading and math skills as well as other subject areas pertinent to a child’s grade level. The tests help teachers determine the best placement for a student. Once the family interview and admissions testing are complete, Veritas will contact parents with the decision regarding acceptance. If accepted, welcome! Your family will receive a letter of acceptance and an enrollment contract. The school will also notify parents with respect to decisions regarding any requests for financial assistance.